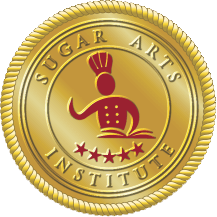 The oldest and most fascinating of all sugar arts. 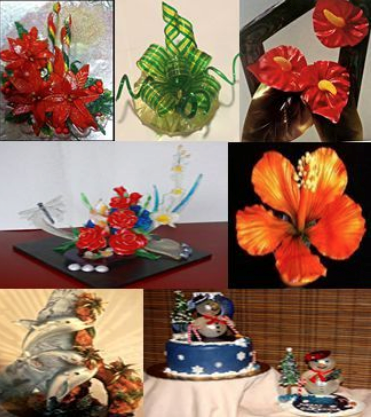 Learn to cook Isomalt so that it is crystal clear. This is an intensive 2-day class. Discover the art of casting contemporary styled supports; pulling to make flowers and striped ribbons and then blowing balls using a pump. The creations made will differ dependent on the season. Please bring 2, 12”x12” cardboard boxes and Styrofoam popcorn chips in which pack and take your displays home.